 Rabbit anti Mouse Interleukin-17 antibody recognizes mouse interleukin-17 (IL-17/IL-17A), a disulfide-linked homodimer and member of the IL-17 family, secreted primarily by activated CD4+ T cells, which signals through the IL-17 receptor (IL-17R). IL-17 induces a variety of target cells to secrete inflammatory cytokines, including IL-1beta, IL-6, TNFalpha, IFNgamma and granulocyte colony-stimulating factor, as well as synergizing with other inflammatory cytokines and agonists. Increased levels of IL-17 are detectable during transplant rejection, and also during rheumatoid arthritis, possibly contributing to bone destruction. Antiserum to mouse IL-17 were raised by repeated immunisation of rabbits with highly purified antigen. Purified IgG was prepared by affinity chromatography.